The WD My Passport X portable hard drive offers additional storage space for Xbox One owners, and it is a solution definitely worth looking into closely. The Xbox One require those who own it to download each game to their hard drive, meaning storage space is precious indeed. Between apps, the games themselves, and save files for the games, it can be quite easy to fill up a small to medium-sized hard drive. The My Passport X from Western Digital offers plenty of portable storage, but how exactly does it stack up against similar products? Interested of WD My Passport X? Look more reviews from Amazon. Setting up the My Passport X is just as easy as plugging the USB cable into your PC or Xbox One. There are instructions that come with the hard drive, but you most likely won’t even have to look at them. This portable storage device uses USB 3.0 connectivity, which makes it quite fast at writing and reading data. Simply plug in the hard drive and wait a few minutes for it to format before you can start adding games to it. The hard drive plugs into the rear of the console and loads the files stored on it within seconds. If you need some extra storage space for all of your Xbox One games, it is only natural to consider your options before buying one hard drive in particular. The My Passport X has just about everything that most other general use portable hard drives have, including a sleek, compact design and a design that doesn’t require a separate power supply. One of the things that this portable hard drive lacks that most others offer is pre-loaded backup software, but this isn’t a huge flaw because it is reformatted by the Xbox One when it is plugged in for the first time. The fact that the My Passport X uses USB 3.0 is not surprising for a modern portable hard drive, but it is still obviously a good thing. The 2 terabyte storage capacity of this hard drive is also a great thing and makes it ideal for gamers, considering that many modern games take up as much as 3 gigabytes each. 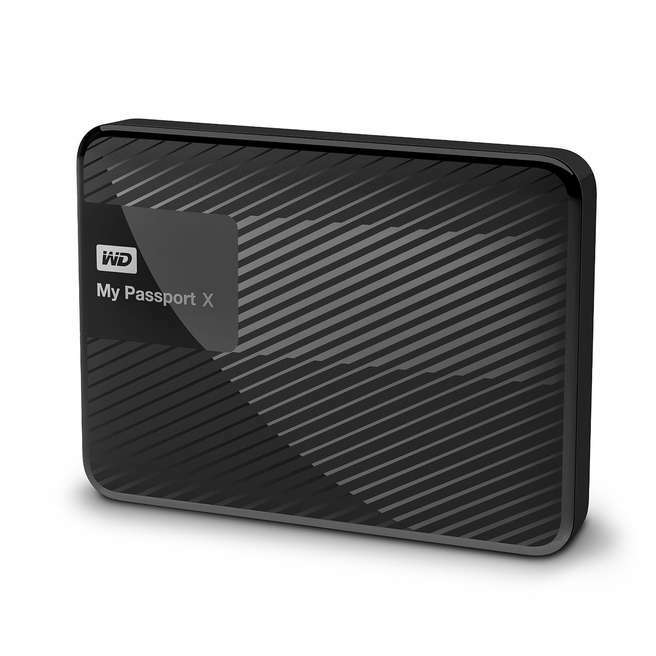 There aren’t a ton of differences between the WD My Passport X and the regular My Passport portable hard drive. Both hard drives use USB 3.0 and are available in 2TB capacities. Also, both hard drives are designed to be sleek-looking and lightweight, which is definitely important for a portable hard drive. One of the only noticeable differences between the My Passport and My Passport X hard drive is the “X” logo on the on the latter. The My Passport X is specifically designed to cater to the needs of gamers with ultra fast write and read speeds with a large 2 TB capacity to accommodate the size of most modern games. This portable hard drive also allows gamers to take their games with them in a small compact device to their friends with minimal hassle. Most Xbox One gamers will find that the My Passport X is more than adequate when it comes to storing games. Those who need extra storage space for all of their games will be able to get exactly what they need with this hard drive in terms of sheer capacity as well as fast transfer speeds and a lightweight design to make transporting it less of a hassle. While it is true that this hard drive does closely resemble some of the other more general models from various manufacturers, it does offer everything the average Xbox One gamer could want. This pocket-sized portable hard drive is especially perfect for gamers because transporting games is easier than ever before. While many portable hard drives on the market are small, this one takes the idea of compact digital storage to a whole new level, eliminating the need to shove a bunch of games in a back pack when going to a friend’s house to play with them. 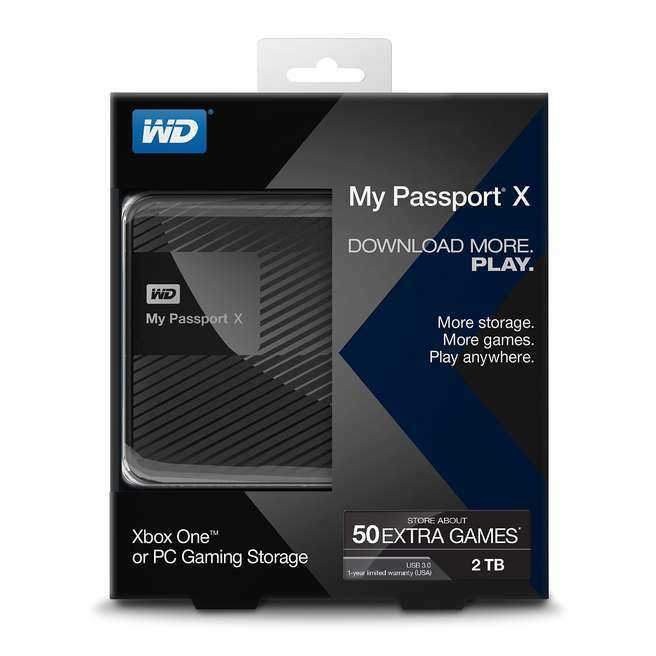 The My Passport X from Western Digital offers a whole lot of additional storage space for Xbox One gamers, and these days many of them really need it. Because the Xbox One hard drives typically do not offer much storage (around 500 GB), a portable hard drive is often necessary, especially for those who want to purchase and store a lot of games. The sleek and compact design of this portable hard drive is another great thing about it, and gamers will be sure to appreciate them. 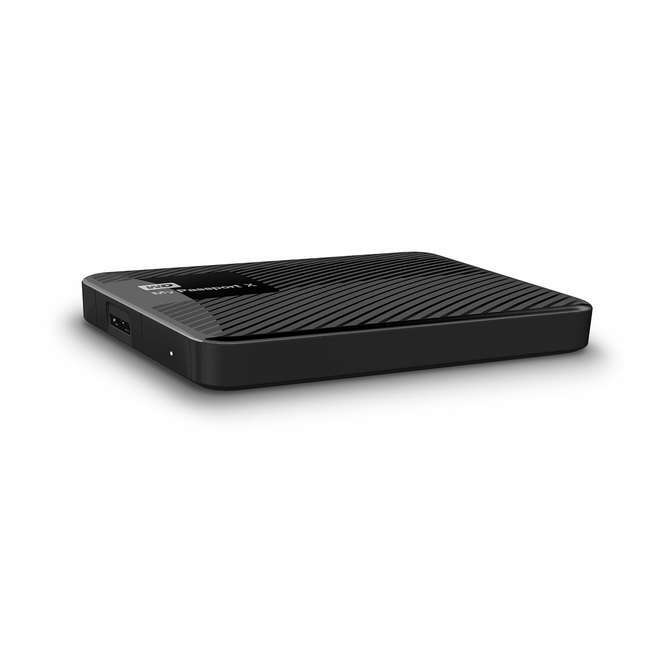 While there are other portable hard drives that Xbox One users can purchase for storing games, this one’s blazing fast performance and the other features mentioned above make it the far superior choice overall.